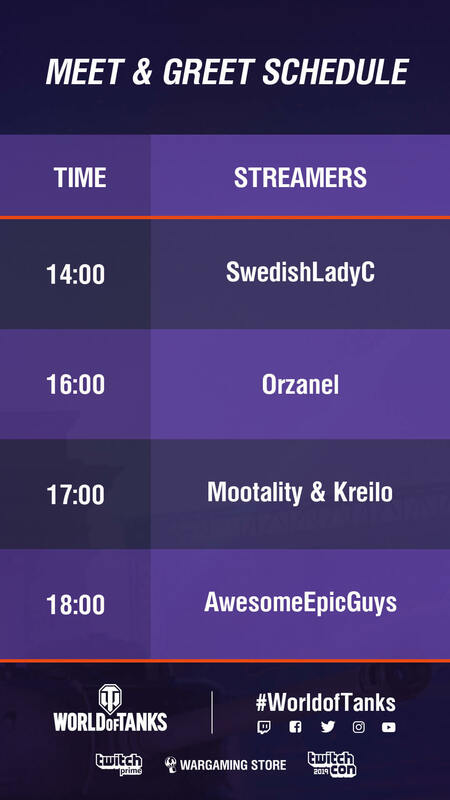 This weekend, TwitchCon will land in Europe for the first time, and we will be part of the festivities going on in Berlin, with not one, not two but several streams planned, live from our booth. Here's our plan for these two days of celebration. There will be two streams running this weekend. One on our Twitch channel, which will be driven by guest streamers, while the other will feature streamers playing directly for their own channel. On Saturday 13 April, our Twitch Channel will stream in English while streamers play from their channels in German, and it will be the other way around on Sunday 14 April. So whether you talk the languages of Shakespeare and/or Goethe, we've got you covered! Checking the tanking moves of some of our best streamers is already pretty cool, but we will make it even cooler with some great rewards up for grabs. This includes Premium Account Time, Premium tanks, consumables, and more! Help us reach these milestones and we will reward you - the following gifts will be given away on top of the streams' activities. 50k followers: win 1 year of Premium Account and the Berlin Trio! 55k followers: win 1 year of Premium Account and the Berlin Trio! 60k followers: win 1 year of Premium Account and the Berlin Quartet (Trio + ISU-112S)! Help us reach these milestones and we will reward you - once again, the following gifts will be given away on top of the streams' activities. 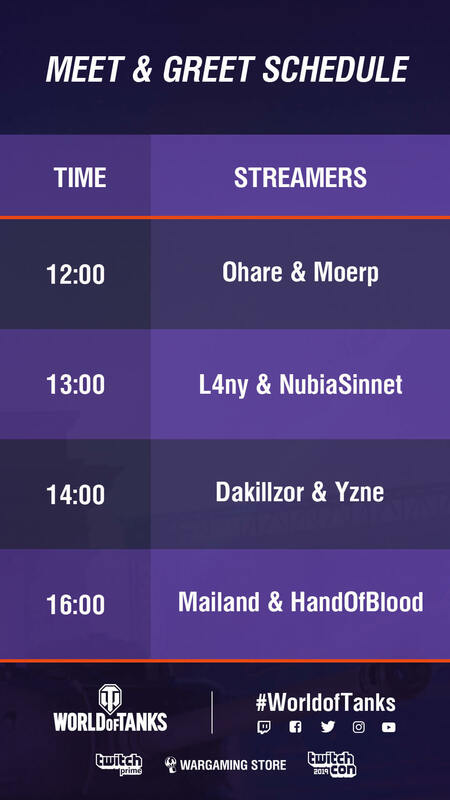 On Sunday the 14th April from 18:00-19:00 there will be a special giveaway in the style of “Where´s Wally?” TwitchCon visitors will have the chance to win an ultra-exclusive meet & greet with unique prizes from HandOfBlood! Visitors must find “Wally” in the TwitchCon area and shout “Spandau” to gain access to the meet & greet with HandOfBlood at the World of Tanks booth. More information on what “Wally” will look like and when he can be found will be revealed in the coming days on the World of Tanks and HandOfBlood social media channels. That's one hell of a weekend we've got for you, commanders. So don't forget to tune in on our English and German speaking Twitch channels during the next two days - you don't want to miss out on these goodies. And in the meantime, don't forget to check our Care Package Charlie for more rewards!